Pesticide-free can be used on areas that come directly into contact with skin. 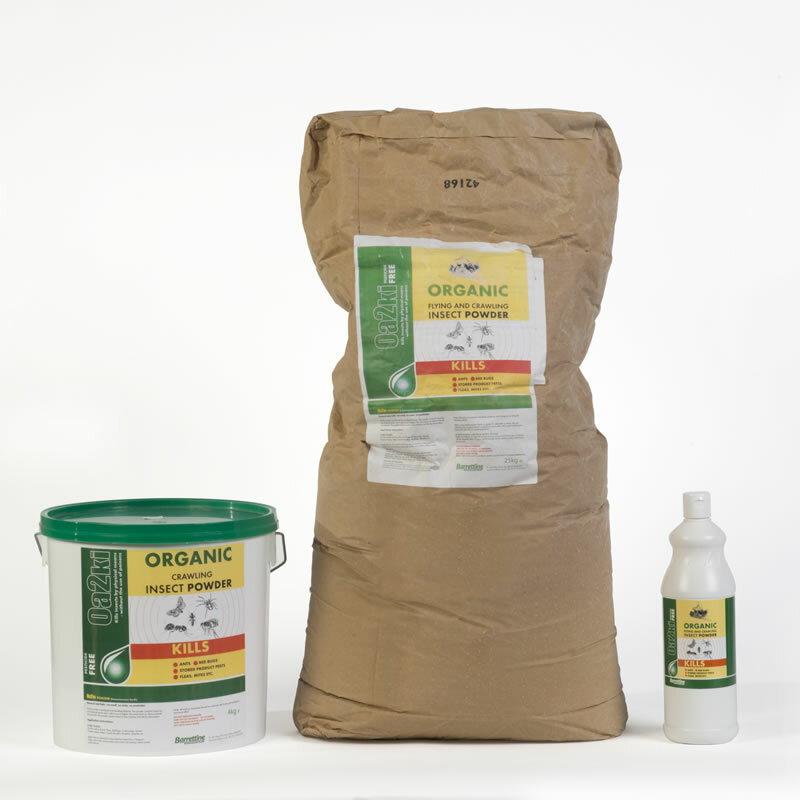 Natural, safe, odourless, does not stain completely pesticide free. 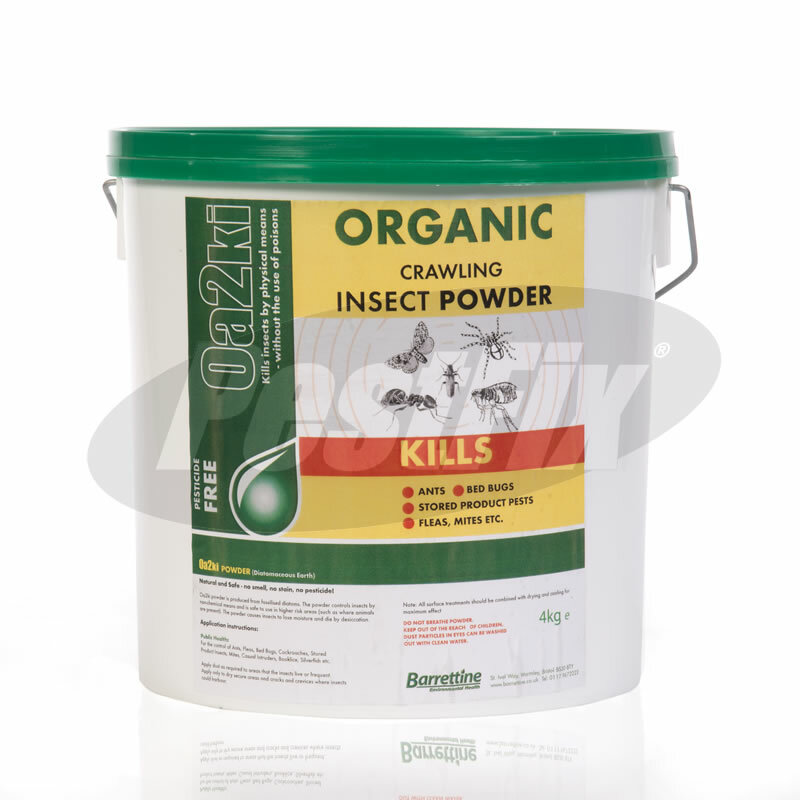 Oa2ki is a crawling insect control product produced from fossilised diatoms. 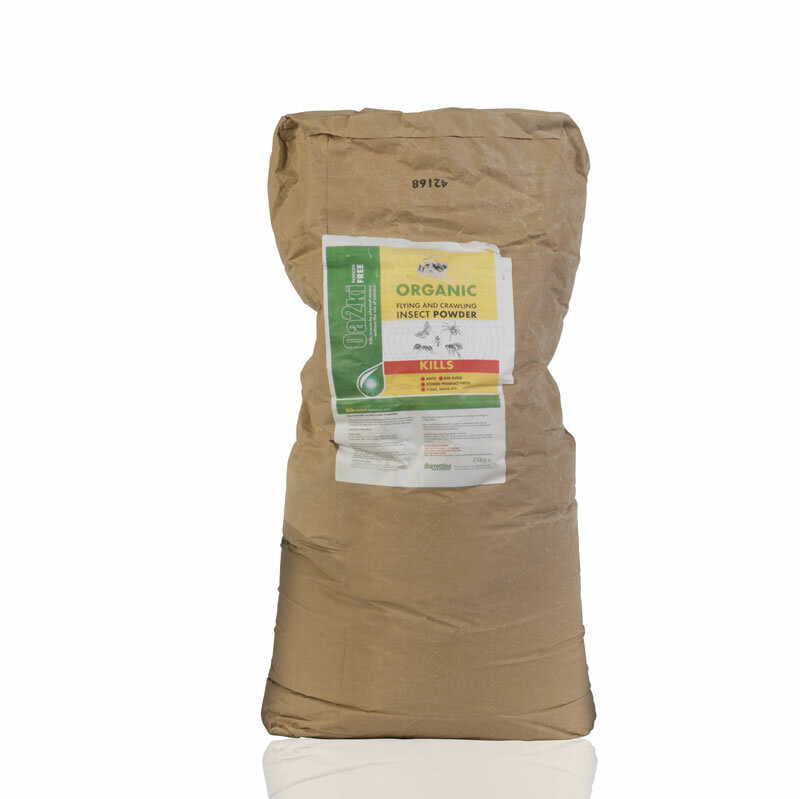 Diatomaceous earth consists of fossilized remains of diatoms, a type of hard-shelled algae. It is used as a mechanical insecticide in areas where pesticides cannot be used i.e. where animals / livestock are present. The powder causes loss of moisture by dessication of the insects cuticle and subsequent death. 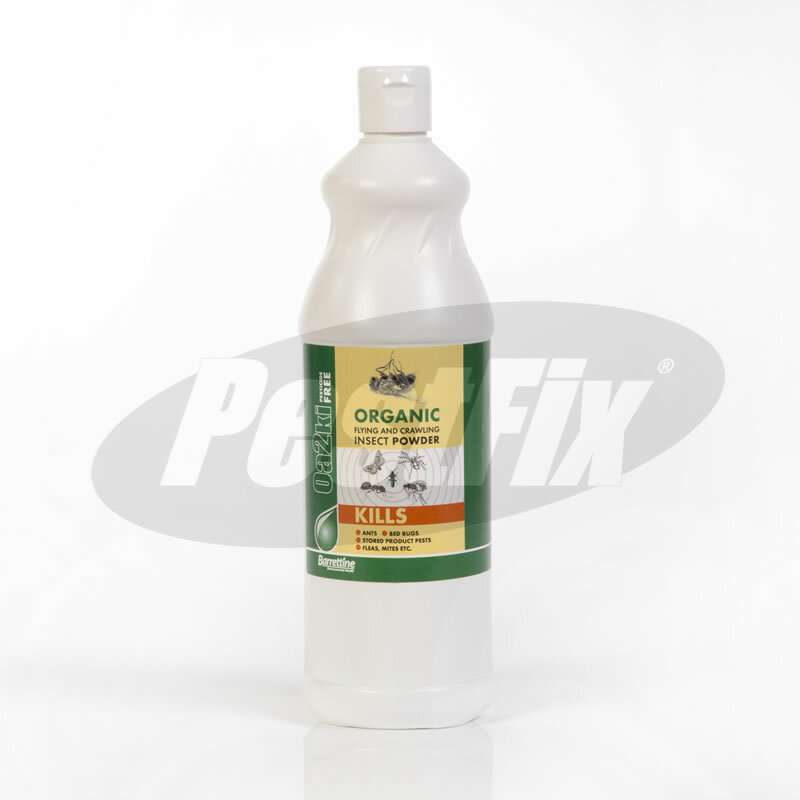 Oa2ki is extremely popular with poultry keepers for the control of red mite, it can also be applied directly to mattresses, bedding and soft furnishings for the control of bed bugs. Apply dust as required to areas that insects live or frequent. To treat dogs and cats apply 1-2 grams, depending on the animal size. Product can be added to bird cages of pet birds as a bird bath.